Programs will be held at the Jefferson Educational Society, Gannon University, and Penn State Behrend. For more information, including how to register for tickets now, please visit www.JESErie.org or give us a call at 814.459.8000! 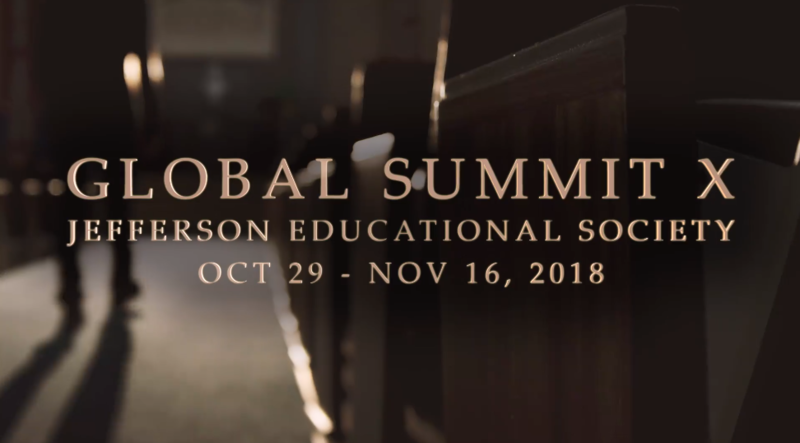 Join us for Global Summit X Oct. 29 to Nov. 16, as we welcome Chris Matthews, Doris Kearns Goodwin, James and Deborah Fallows, David Ignatius, Michael Eric Dyson, Howard Dean, Elise Jordan, Sebastian Gorka, Steve Scully, Ann Compton, Bill Plante, Ashley Swearengin, Ian Morris, Leonard Calabrese, and Gen. Michael Hayden to #Erie!